Despite freezing temperatures last Saturday, well over 100,000 New Yorkers gathered at 44th Street to begin the six-hour, 35-block march up 5th Avenue. They marched in the name of a variety of groups, from firefighters and soldiers to marching bands and immigrant societies. Anyone used to the excitement and pomp of the annual Macy’s Day Parade held every Thanksgiving may be disappointed by this 1.5-mile procession, without sponsored floats and recognizable pop-culture characters. According to Catholic Church tradition, March 17, 461 AD is the day that Saint Patrick, Apostle of Ireland, died. As with a lot of history, the exact dates are difficult to pinpoint, but it is generally agreed that he brought Christianity to the Irish in the later half of the 5th century. "It wasn’t extremely exciting, but everyone loves a good bagpipe." Over 1000 years later following the saint’s death, the first New York City Saint Patrick’s Day Parade was marched by “homesick, Irish ex-patriots and Irish military members serving with the British Army stationed in the colonies in New York,” according to the parade’s official website. Since 1762, the parade has held cultural significance for New Yorkers from all walks of life. This year, the parade was led by the 69th Infantry Regiment, a proud celebration of heritage and tradition. 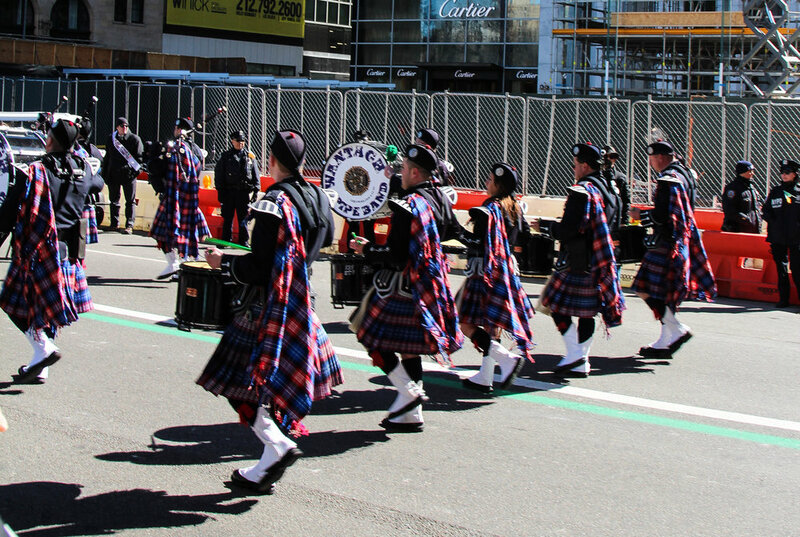 Whether or not you celebrate St. Patrick’s Day for the man himself and his achievements, the parade celebrates men and women from all walks of life who are dedicated to the same ideals as St. Patrick. “I cried when I realized there weren’t any floats, but I’m okay now,” Olivia Swareignine, a bystander, said, as the last group marched by. “It was a great representation of culture and unity among community,” she said.